Estia, a subsidiary of Dalkia, a company which develops, builds and manages innovative, green, cost-effective energy solutions, has installed a Jenbacher cogeneration engine supplied by Clarke Energy into the underground boiler room of the Grand Nancy district heating network in the Haye Plateau, France. The installation required the use of a 40 m, 220 t crane in order to lower the engine into the depths of the boiler room in three parts. 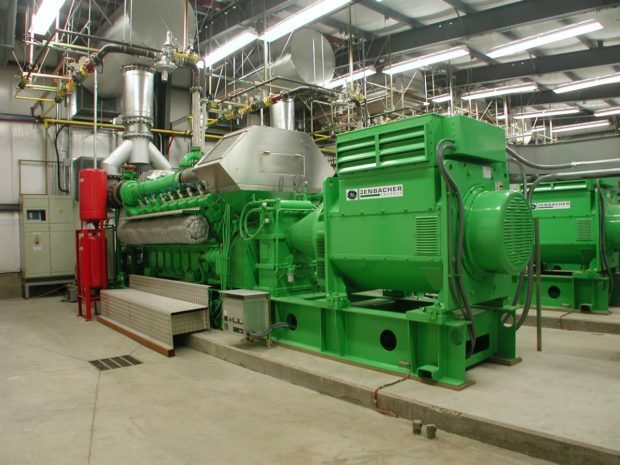 The Jenbacher JMS616 cogeneration engine installed in the buried gas boiler is able to supply heat to the Greater Nancy at the Hague plateau, combined heat and power (CHP) is a particularly efficient energy solution because it increases the efficiency of the plant compared to separate electricity and heat production.